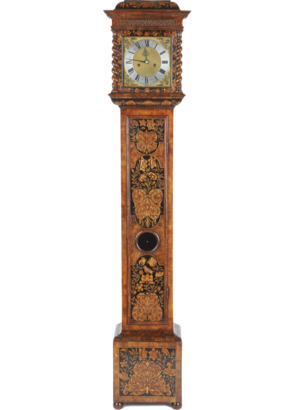 An extremely rare English 17th century miniature burr elm and panelled marquetry longcase clock. 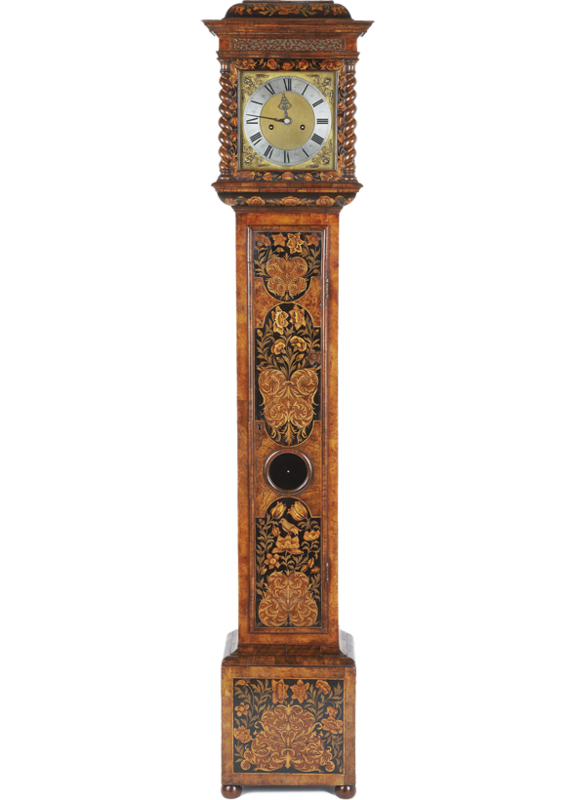 The 8 day movement with a 9 inch dial signed the bottom edge of the dial and with winged cherub head gilt spandrels. The case with rising hood, shallow caddy top and standing on bun feet.